Commercial and Residential Solar Panel Installers. R&B can install, service and repair your solar panel system. 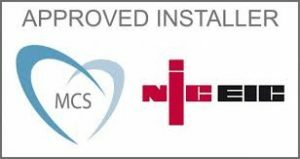 We are MCS registered to undertake all solar panel installation and maintenance. Solar panel electricity systems, also known as solar photovoltaics (PV), capture the sun’s energy using photovoltaic cells. These cells don’t need direct sunlight to work – they can still generate electricity on a cloudy day. The cells convert the sunlight into electricity, which can be used to run appliances and lighting. Make substantial savings by reducing your current energy bills and benefit through income generated via the Feed-in Tariff (FIT). • Energy bill savings: you will be making savings on your electricity bills because generating electricity to power your appliances means you don’t have to buy as much electricity from your energy supplier. The amount you save will vary depending how much of the electricity you use on site. • Explain how we calculate the size of the system to be appropriate for your needs. • Supply clear information and operating instructions. • Explain how you should maintain your system. • Provide an estimate of how much heat and electricity will be generated by any proposed system, and illustrate what this means in terms of your current energy needs. • Provide an estimate of the savings you could make after installation. Solar PV has been embraced commercially for many years and continues to deliver an impressive return on investment for many business owners seeing double digit benefits. With 20 years of guaranteed payments, that becomes a pretty good payback given the current economic climate in many industries. Having been developed over 50 years, it is a well tried and tested technology. Solar PV systems also have few moving parts, meaning that Solar panel systems require minimal maintenance and are extremely reliable. Although more electricity is produced on sunny days, panels work well on overcast days too and so solar PV is well-suited to our climate. Solar installations are well suited to commercial sites, as systems remain cost effective through a very wide range of sizes. Panels can be installed on east or west facing roofs with only a small reduction in performance. R&B M&E Ltd are committed to working with you to ensure you make a fully informed decision when choosing which Solar PV system is right for you. We start by establishing your exact needs before offering a choice of systems and continue to discuss further options until you are certain you know which system is right for your property and your pocket. There’s a lot of information about Commercial Solar PV and we can go in to as much detail as you need. PV = Photovoltaic, simply the transfer of light (photo) in to electric (voltaic). Wp = Watts peak. This refers to the peak power of a panel. Typical panels for the UK market are between 250Wp and 345Wp. kWp = kilo Watts peak. 1kWp = 1000Wp. Domestic systems are usually 4kWp, Commercial installations are normally up to 50kWp and industrial installations can reach 1000kWp (or 1MWp). kWh = kilo Watt hour. This is the same as one unit of electric. We buy electric in units or kWh. If you use 1 kW (kilo Watt) for one hour then you will have used a single unit of electric. Inverter = The inverter is a ‘box’ that sits in the building changing the DC electric from the panels to AC electric that is acceptable for your appliances and the national grid. Inverter position is extremely important. . Mounting system = This is the frame, brackets, hooks etc required to hold the panels in place. 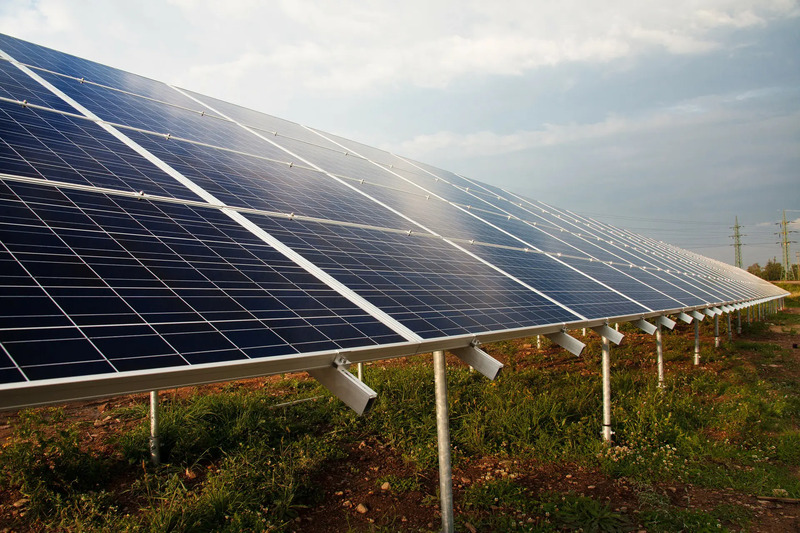 Various solutions are available to deal with the many situations that Solar PV panels can be mounted in. FIT = Feed in Tariff, this is the government scheme which enables solar PV system owners to be paid for every unit that is generated by their system, whether the unit goes in to the grid or is used by the customer, you get paid FIT for that unit. Export = This is a further tariff that is paid for any units that go in to the grid. On systems of 30kWp or less there is an assumption made that you will be paid for exporting half of the units generated. This is because it is uneconomical to install an export meter for systems of this size. Please use the contact form below to arrange a no obligation survey of your premises, or call us on 01535 687010 to discuss your requirements. 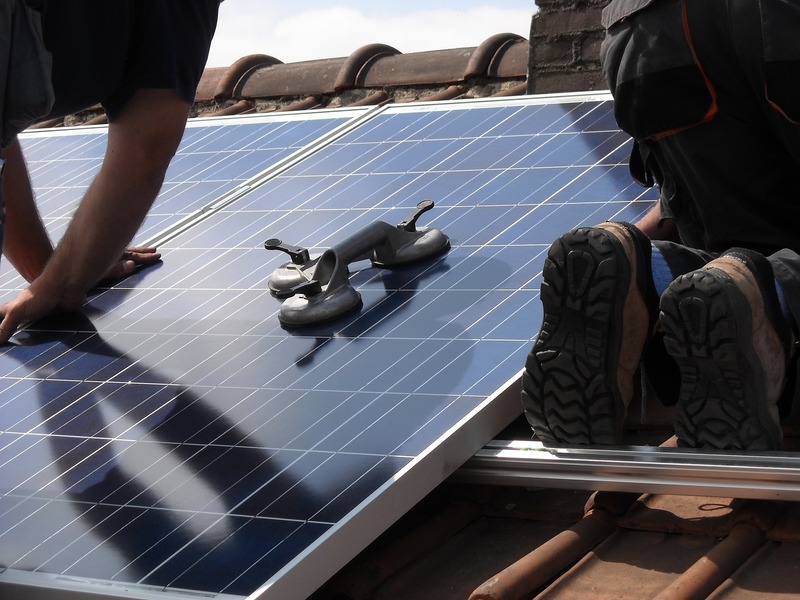 Solar Panel Installers & Solar PV Installations.